Jere Gettle has been described as "the Indiana Jones of seeds" and gardeners that count on the Baker Creek Heirloom Seed Company carrying rare and unusual vegetable varieties would probably agree with the comparison. 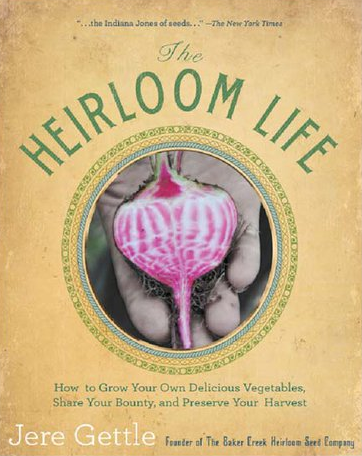 The Heirloom Life is the forthcoming gardening book my Jere and Emilee Gettle. The book will cover vegetable growing, preserving vegetables, and of course seed saving. The book is being published by Hyperion Books and will be available nationally in Autumn 2011. You can learn more about the Baker Creek Heirloom Seed Company, their heirloom gardening magazine, pioneer village, and heirloom seed bank in Petaluma, California.